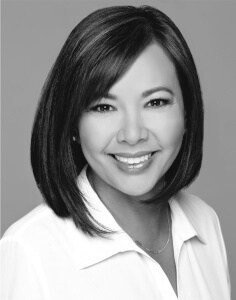 Born and raised on Oahu, Kelly has been in Real Estate since 1993. She has a Bachelor of Science degree from the University of Hawaii at Manoa and she comes from a long line of family Realtors. Starting out in the business when Honolulu real estate was plummeting, she set her sights on property management and investment property. With vast experience in managing all kinds of properties, her niche today is luxury condominiums. She has held one of the largest pool of rentals in buildings like Hokua and Koolani. Managing property and representing buyers and sellers of all ranges, keeps her very occupied. Her attention to detail, communication skills and being very organized, keeps her on task and has contributed to her being a top producer each year. She attributes her success to her referral base business and her long relationships with her clients. Living in Manoa Valley, she is a happy wife and mother of three growing boys.